If you've recently graduated from simple beading and wire-work to metalwork, you may have found the transition a bit scary. After all, you've moved from pliers and cutters to far more intimidating devices. Metalwork requires the use of handsaws, rotary tools, drills, buffers, polishers and other power driven devices, all with the ability to create injuries in the blink of an eye. If you are learning to solder metal pieces together, you may have picked up your first blowtorch. It's the one tool most of my students find intimidating; but with a few safety tips, learning the soldering process can go smoothly. When I start teaching a metal class with women and sometimes men who have never used a blowtorch before, we must gradually work our way up to the part where I ask them to light a torch for the first time. 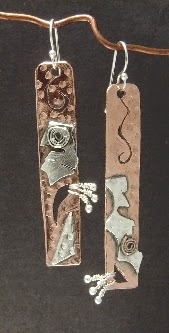 I spend several days of class time getting them comfortable with the newness of working with metal. 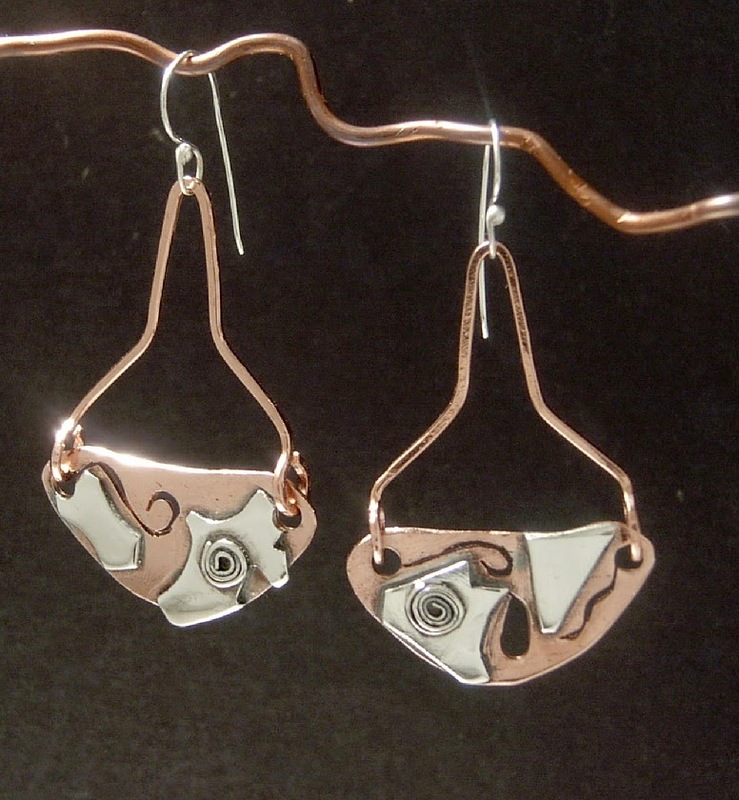 Instead of emphasizing all the things that might happen, I begin by talking about the beautiful creations a jewelry artist can make with an idea, a saw, some metal and a little bit of effort. To get them started I encourage them to draw their jewelry ideas on paper. 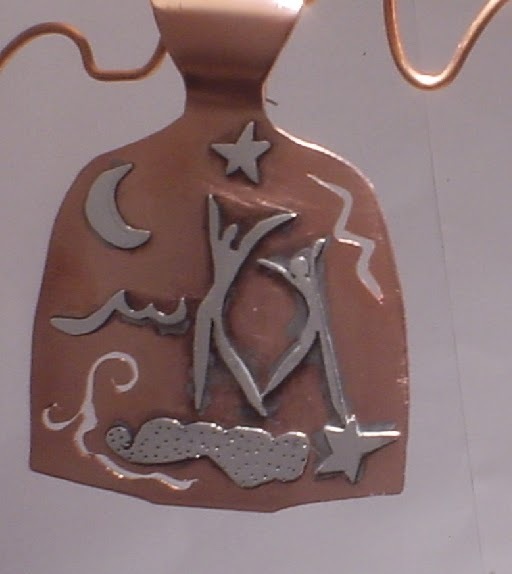 Next I coach them into transferring designs to metal, cutting them out with a jeweler's saw and smoothing the raw edges. Only on the last few days of a scheduled class sessions do I bring out the torches. By the time I ease them into lighting up, my blowtorch virgins will have gone too far to turn back. That's when we talk about the blowtorch safety rules that will help them through the soldering process. 1. A blowtorch is not a toy so don't play. Read all the safety precautions on the package and the propane tank before beginning. 2. Keep a fire extinguisher handy at all times. If you take your time and follow proper safety rules, you probably won't need it, but it will ease your mind to know it's there in case you do. 3. Assemble your torch properly. Look for the arrows on both the head and the propane tank for the proper directions to turn. (Oxygen tanks turn the opposite direction of Propane) Turn the head tightly into place or you may experience gas leaks; otherwise when you light your torch, flames may shoot out in odd places. That can be very scary. 4. Propane is highly flammable. Do not turn the nozzle to release the gas unless you are ready to light it immediately. Otherwise the gas can escape and create a hazardous situation for you and everyone else in the room. 5. Using a striker to ignite your torch instead of a match is easier and safer. A striker is a metal device you buy at a hardware store and is designed specifically for lighting torches. It contains a piece of flint that generates a spark when struck against it's metal holder. This allows you to light your torch without using a match or other flame. 6. If you are really uncomfortable with lighting a torch, some manufacturers make torches with self-contained, electronic ignitions. You simply turn on the gas, then push a button to light it, a one handed operation. 7. Don't be embarrassed if you feel uncomfortable using a torch. Because I had a history of investigating serious liability cases, I knew that blowtorch users were capable of causing a lot of damage. I developed a healthy respect for the power of what insurance people call "friendly fire." I took lessons to hone my torch skills and I practiced until I felt comfortable doing it on my own. 8. Keep your workroom adequately ventilated to remove the fumes from your soldering process. Wearing a mask provides some limited additional protection against inhaling these noxious fumes, but a ventilator mask that works like a simpler gas mask is much better. 9. There are many different types of torches. Over the years, I've bought expensive and inexpensive models, some for propane, some for MAPP gas, and some to accommodate a propane/oxygen mix for a hotter flame. There are many other varieties, but I mostly use what people call a 'Plumber's torch' for my basic soldering. It is simpler to assemble, produces a large hot flame, and it operates with fewer parts to fail and cause a problem. 10. Remember Soldering is for grownups. That's what I tell my new students. It's fun to make beautiful soldered jewelry creations, but the process can be too dangerous for those not mature enough to follow basic safety rules.